The first thing you learn as a junior editor is that you can’t do everything yourself. You must rely on someone else to do at least part of what must be done: the long-range planning, the initial drafting or shooting or recording, the editing, the production, the final polish. All of those pieces of work that belong to someone else take quite a lot of time — days, weeks, sometimes months. If you’re the sort of person who wrote college term papers the night before they were due, this can come as a bit of a shock. To my twenty-two-year-old self, it certainly did. It turns out that the only real way to avoid a trainwreck with editorial work is to get ahead of the trouble, line everything up carefully, and leave oodles of room for all the pieces to connect on time. The same is true of content strategy, content planning, and just about everything to do with content on the web, except for the writing itself — and that, too, usually takes far longer than anyone expects. If you’re not a professional editor and you suddenly find yourself dealing with content creation, you’re almost certainly going to underestimate the time and effort involved, or to skip something important in the planning process that pops up to bite you later. Without good content, it doesn’t matter how well designed or coded your web project is, because it won’t be doing the thing it’s meant to do. And even if content is far from your specialty, you may well end up being the only one willing to coordinate it far enough in advance to avoid a chaotic ending. Whether you’re hiring writers and editors for a big project, working with a small client, or coaxing some editorial help out of a co-worker, getting the planning work done correctly — and ahead of time — will allow you to orchestrate a glorious ballet of togetherness, instead of feverishly scraping together something to put on your site when the deadline looms. So get out the graph paper and the pocket protector, because we’re going to go Full Nerd on this problem. Useless – Content that doesn’t serve your readers’ needs in some way is pointless. And because it takes up your time and crowds out genuinely helpful things, it’s actually damaging. The logic is simple: you can make content that’s all about you, and that serves your stated messaging goals, but if no one is motivated to read it, it’s a waste of everyone’s time. Badly written – When you publish articles or instructions or other content that is too stiffly formal, overly wordy, hard to understand, offensive, unintentionally cheesy, or otherwise off in tone or style, you’re doing two things. First, you’re weakening the information you’re trying to convey by making it obscure or annoying. Second — and this one is even more damaging — you’re demonstrating bad taste. When you get the cultural elements of publishing wrong, you encourage your readers to believe that you either don’t understand them or don’t care about getting it wrong. Gooey – Content strategists have been talking about structured content (that’s chunks versus blobs) for years. If you’re publishing more than a few dozen pages without thinking through the structure of your content, you’re probably missing a chance to improve your long-term efficiency. If you’re publishing more than a couple of thousand pages without taking care of your content structure, you’re probably doing a lot more manual wrangling (or cumbersome CMS work) than you need to be, especially when it comes to cross-platform publishing. Unregulated – If you’re not tracking what works and what doesn’t — and especially if you don’t know what “works” means for your project or organization — you’re almost certainly getting worse results than you should be, for more work. Overabundant – As demonstrated by the cinnamon challenge, too much of a delicious thing can be a giant and publicly embarrassing disaster. For most projects and organizations, if you’re making more stuff than your readers can handle, or if you’re spreading your creative and editorial resources too thinly, that’s bad. Spammers, content farms, and barrel-bottom tabloids have their own special math, the side effects of which include insomnia, irritability, and crying in traffic while silently mouthing Wilson Phillips lyrics. Once you know what kind of trouble to look for, you can prevent a lot of it by doing some smart planning well before someone starts writing (or recording or shooting video). To prevent bad writing: Establish a consistent and appropriate style using examples (and a style guide if you need one), designate an editor, hire good writers, and make time for quality control. Kate Kiefer’s style guide for MailChimp is a superb example of style-wrangling that everyone can use. To prevent repulsive goo: Give your content as much structure as possible, and know how structure relates to your entire publishing ecosystem, including all those mobile devices. Sara Wachter-Boettcher’s Content Everywhere and Karen McGrane’s Content Strategy for Mobile offer brilliant yet friendly introductions to the wide world of structured content. To prevent unregulated chaos: Measure everything that matters to your project, your client, your organization, and especially your readers — not generic measures of someone else’s success. Measure it all regularly. Be disciplined. Adjust at regular intervals. Rick Allen’s series on content strategy analytics is an excellent place to begin (part one; part two). At a slightly higher level, pick the right content person (or team) for the work. If you really only need a few pages of copy, find a smart writer who does good work for multi-platform readers. If you’re slinging tens of thousands of pages of content, get someone with field experience in high-level editorial planning and the ability to turn blobs into chunks and melted goo into Legos. If you’re starting a project that involves making a lot of content over time, bring in someone with journalism experience (or get your client to do so). “But wait!” you may say. “I’m not hiring anyone. I have to do this all myself.” That’s not uncommon at all. The bad news is, you have to learn a bunch of stuff. The good news is, you get to learn a bunch of awesome stuff. Figure out what the project needs, just as though you were going to hire someone, and then give yourself time to get up to speed. If it’s a really complicated project, you’re probably going to have trouble unless you eventually get professional help. But if it’s small and you can do it in steps, you can certainly do much better by giving yourself a plan and working on the things that matter most. Launching with awesome content is a tiny fraction of a victory, which is why it’s so important that your content not be gooey or unregulated. It also means that if you don’t plan for a realistic publication schedule, you are going to slam into reality in a really unpleasant way not too long after you’ve begun. If you’re asking people to make words (or videos or whatever) for you, they’re going to have to do less of something else, so plan for that beforehand. And while you’re at it, unless publishing is your core business, ditch the feed-the-beast plan that leads to fluffy blog posts and spiritless, unhelpful social media content. It’s antisocial for your reading community, offers short-term gains at best, and will burn you out or lower your standards until you don’t even know you’re doing lousy work. Good content is expensive, no matter how you do it, but spreading yourself too thin is a much worse investment than doing a smaller thing well and gradually building up a body of superb content that people want to share and keep and return to. Erin Kissane edits magazines, websites, does content strategy for institutions and companies, and reads a lot. 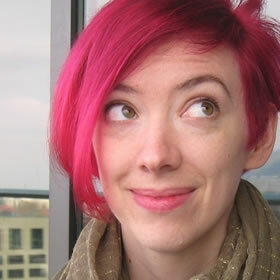 She currently edits Contents magazine and Knight-Mozilla OpenNews’s Source community site for journalists who code. She was formerly editorial director at Happy Cog Studios and a lead content strategist at Brain Traffic, and she edited A List Apart magazine for a long time. She lives in Brooklyn and tweets at @Kissane. Sophie Dennis understands the necessity of planning carefully how and when website content will be produced – and who’s responsible. Content’s like Christmas: best not left to chance.